Moscow has Europe's biggest fleet of short-term rental vehicles. MOSCOW -- When Evgeny Barkov owned a car, the 31-year-old software salesman would often look out of his Moscow window at it with disgust. His possession sat unused more than 90 percent of time, while sucking up money and causing him anxiety that it might break down. He finally took out a calculator, added up all the costs and determined he was better off selling his gray Peugeot and switching completely to short-term car rental services such as Yandex.Drive, which offers cars ranging from basic Kia models to expensive Porsches. 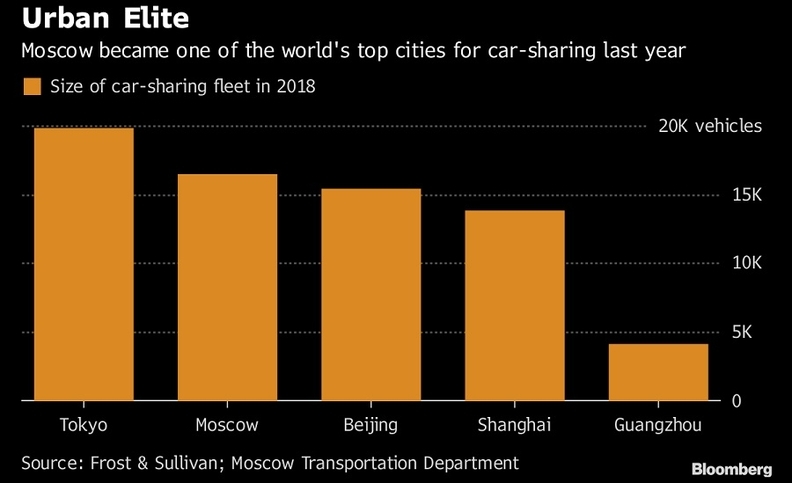 The venture, which set up last year by a local Internet company, flooded the Russian capital with more than 7,000 cars to rent for as little as 5 rubles (8 cents) per minute, including fuel, maintenance and parking. That compares to 41 cents a minute for Daimler's Car2Go in New York and is an offer too good to pass up for a growing number of Muscovites. Almost out of nowhere, short-term rental in Moscow boomed, with the number of vehicles more than tripling last year. The city now has the biggest shared fleet in Europe and the second-largest in the world after Tokyo. The rapid shift spells trouble for automakers by providing a blueprint for how a deep-pocketed technology player can move quickly to woo consumers with alternatives to traditional car ownership. "We are approaching a point that could flip the entire car market on its head,2 said Shwetha Surender, a London-based analyst with consultancy Frost & Sullivan. "Carmakers risk becoming mere suppliers to shared mobility services and losing direct relations with customers. That's an unattractive proposition." To be sure, automakers are seeking to head off the risk. Daimler and BMW merged their short-term rental ventures to gain greater scale. Volkswagen is testing its Moia ride-sharing service in Hamburg, while General Motors has invested in Lyft. They all somehow missed Russia's biggest city, with more than 12 million people. Daimler's Car2Go, BMW's DriveNow and Avis Budget Group's Zipcar are all no-shows, even though its notoriously clogged streets—Moscow is ranked as the world's second-worst city for traffic congestion—were ripe for disruption and authorities were practically begging short-term companies to invest. Paid parking was introduced in the city center in 2013 and is generally booked via app—training residents to use smartphone features for their transport needs. A day’s worth of curbside parking could cost about $30, making it the largest daily expense for many Russian drivers. Short-term car rental providers get discounted rates of roughly $400 a year. At the end of 2018, there were 16,500 short-term rental vehicles in the city, and Moscow’s Transportation Department expects the number to rise by 5,000 vehicles annually in the coming years. The fleet expansion trailed a boom in users as rides more than quadrupled to 23 million. Yandex is Russia’s version of Google and has taken advantage of its strategic position at the center of the digital economy to deepen ties with consumers through services ranging from shopping sites to music streaming. The company began its push into transport services with cab-hailing app Yandex.Taxi in 2011, now Russia’s largest. It controls Uber Technologies’ business in the region. Car-sharing is the next step in eventually offering a robotaxi service—the goal of Alphabet's Waymo. By starting with short-term rentals, Yandex gets a pool of customers that could easily switch from driving the company's vehicles to riding in them. The company also develops the know-how of managing and maintaining a large fleet. "Right now, we see that use-case scenarios of taxi and car-sharing are different," Ryazanov said. "But it's clear that in several years, when self-driving technologies become wide-spread, these two services will eventually become one. You'll have a choice—either to sit in the backseat and the robot will drive, or sit behind the wheel yourself." Like most other short-term rental services, the vehicles are booked via app. Yandex’s has a "radar" function that pings users when a car becomes available nearby. 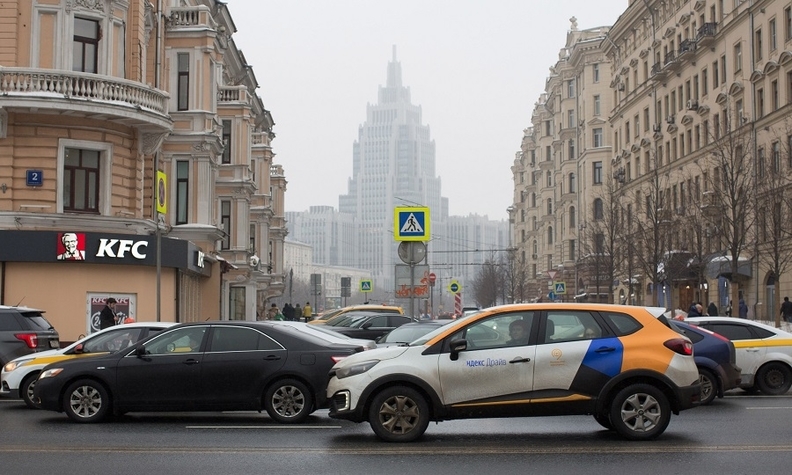 After Yandex introduced dynamic pricing, rates across Moscow's services can increase when demand is high and vehicles are in short supply, but generally run around 8 rubles a minute for a basic car and 16 rubles for an upscale model. The costs are noticeably lower than in the U.S. and Europe mainly because of cheaper labor, maintenance and fuel. There are also key advantages for users like Barkov. Once a vehicle is booked, it can be pre-heated — a useful feature during Russia's frigid winters. When he had his own car, Barkov recalled the nagging feeling of wanting to upgrade to a nicer, more expensive model. But now he enjoys the variety of driving a Russian Lada one day and a Mercedes-Benz the next.